Blaze a new trail in the adventurous Jeep Grand Cherokee! This stunning and safe SUV stands out competitors like the 2019 Ford Explorer, combining off-roading prowess with daily comforts to give you all the power and performance you need to cruise around Castle Rock and beyond. With a rugged V6 engine and an interior that’s packed with all the technology features Pueblo drivers crave, you can’t go wrong with this Jeep. Test drive today at Perkins Motors! 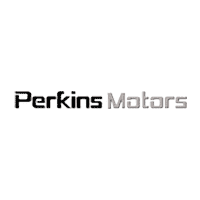 Why Buy from Perkins Motors? Perkins Motors proudly serves the Canon City community and beyond, offering exceptional service and affordable prices to help you get the car you deserve. We aim to make customers for life, which is why we go above and beyond to offer you a friendly, stress-free car buying experience. Our service department knows the Jeep lineup inside and out, and will keep your Grand Cherokee running strong for years to come. Visit our showroom today; we can’t wait to work with you!